I've been using my set of fabric grocery bags since I made them this summer, but I still kept using the plastic bags from the store for fruits and vegetables. Every time I pulled one off the roll, I thought, "I have got to make some of these." And then by the time I get home, I'd forget. I finally made 9 of them this weekend. And they cost me exactly nothing because I reused a sheer curtain that we'd replaced. You can either use tulle or sheer fabric, but really I think the sheer is much easier to work with. The only requirement is that they be see through and lightweight. Sometimes they have sheer curtains at the thrift store, just take em home and wash well in hot water. If you can't find those, tulle is probably going to be cheaper. You can get 4 bags out of one yard, which costs 2 bucks. Also, if you want them to be painfully cute, you can decorate them with some handmade stamps. I carved up some broccoli and onions special for this project. So, on to the directions. -Next fold in half hamburger-wise (as opposed to hotdog-wise... does anyone else remember this brilliant instruction from elementary school?) and pin. In the picture below, the right side is the bottom of the bag and the left is the top. 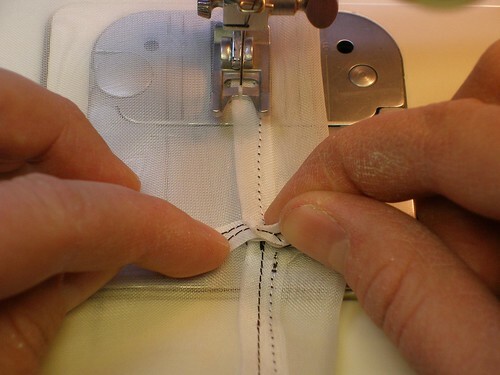 -When you sew the side and bottom, start sewing about an inch down from the corner. 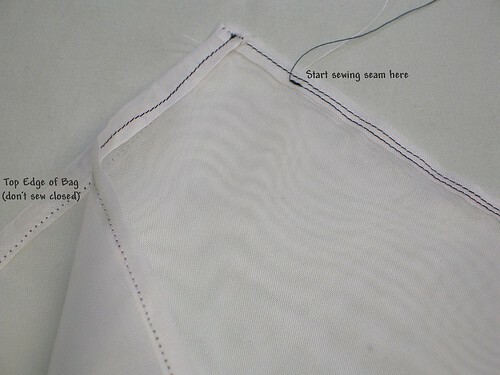 Also, it's best to sew where the fabric is doubled up on itself, basically somewhere along the hem. 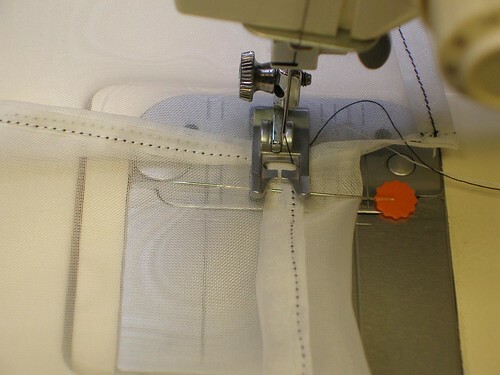 -Once you've sewn the bag, make the channel for the twine by folding down and pinning the top edge like shown. 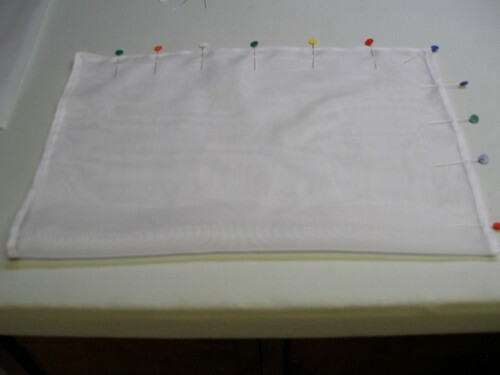 -Start sewing where shown in the picture, folding the fabric evenly down as you go. -All you need to do to finish the bag is to tie a knot in some twine, push a safety pin through it and feed it through the channel. Leave about 2 or 3 inches hanging out on each side and tie it in a knot. When you want to close up the bag, just do a slip knot. Oh, and one more thing. I weighed one bag on the kitchen scale and it's total weight was 0.4 ounces (as compared to the plastic bag which was 0.1 ounces). horray! love it and will make some. The see through thing is key...we never learn and reuse yogurt and sour cream containers for leftover storage. Later, we find not-so-cute science fair projects. I love these even more than the grocery bags! Thank you so much! 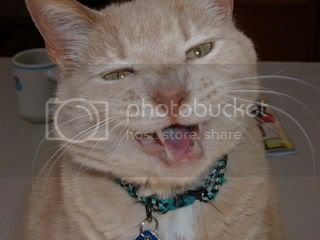 I am sending the link to mom so she can make me some! Hahaha! Sigh... my husband refuses to allow cloth bags for produce. I've been buying and saving produce in the net plastic bags and saving it. It's been working pretty well, and is luckily husband approved. (It needs to be, since he's the one that shops). Perfect! I've got tons of tulle and it's the kid's naptime. What a wonderful idea. Thanks so much for the tutorial. "Damn. I really hate having to use these naughty plastic bags for my carrots.I guess I'll just throw them randomly into the cart and hope they don't fall through the cracks." Thank you!! I JUST posted about wanting to make my own produce bags! How fortuitous! I never thought of old curtains! I have seen several tutes for using tulle and planned on making some eventually. Thanks for the great idea. I always see sheers at the thrift stores. You rock! 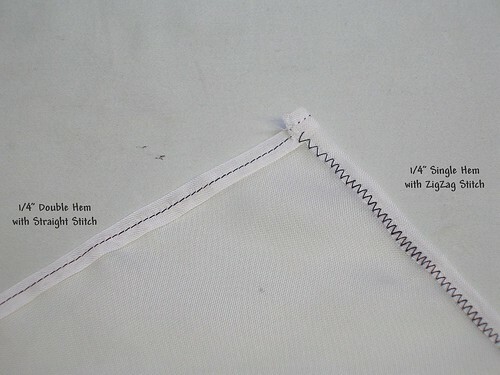 As soon as I get my hands on a sewing machine (one of my goals this year), I'll give these a go. These look great. Don't know if I will *actually* get around to making them, but the intention is there. The grocery checkers always look annoyed at me when I don't use a plastic bag. Come on, If I've got 3 kiwis, do I really need to put them in a bag? LOVE THESe!! We just bought some reusable bags from Whole Foods for $.99, but I think I will make some of the produce bags to go with it. Thanks for sharing this great idea! We try to use canvas sacks for groceries every trip but didn't have any reusable produce bags. And sometimes I do feel the need to bag greens or other produce. But I hate using those plastic ones, even if we do reuse them till they fall apart. 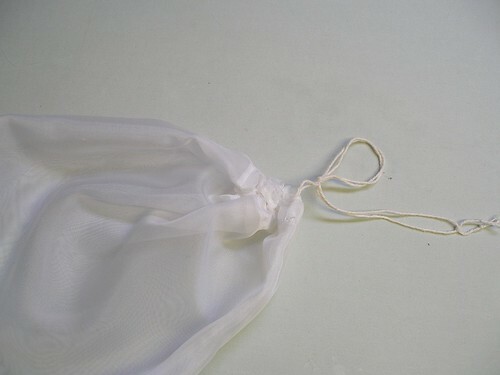 I have some sheers that aren't needed anymore for their original purpose and they'll be perfect for a few produce bags. Think I'll give the extra bags to some like-minded friends. Thanks again! I have been making and using my own grocery bags for quite a while now. Yesterday I was shopping and I needed to use so many of those produce baggies that I disgusted myself. I decided I was going to find instructions someplace to make my own. 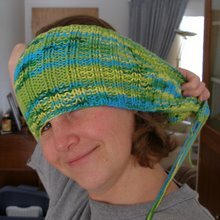 When I typed in "tutorial to make reusable produce bag" in google your site was the first one up! Thank you for this tutorial I will be making dozens of these. I plan on giving them as gifts with my reusuable grocery bags! I've been meaning to do this for quite some time. Your directions are VERY clear and easy to understand. Thanks! Aren't curtains made of flame-retardant fabrics? I don't know how they're made flame-retardant, but I have a bad feeling it's not eco-friendly...anyone have any intel on that? Anonymous, ecologically speaking, I think it's important to remember that I'm repurposing this fabric. I'm pretty sure it's better for the environment if I find a use for these rather than put them in a landfill. However, when it comes to our personal health, you may have a point. I do wash everything at least once in super hot water before I begin sewing, though. Not sure if that'll remove all the chemicals or not. OK so these are genius! Sometimes I purposely get plastic bags at the grocery store because we use them for our trash. However, there is no good repurpose for those flimsy filmy produce bags! These are awesome! Gonna look for sheer fabric at the thrift! I have been using linguire washing bags as my produce bags for the past few monthes without any problems. The cashier can see everything in the bag since they are a light mesh material and they zip closed. I found them at a local dollar store at 3 for $1. They don't really hold larger produce like celery or lettuce very well which is where these painted bags would come in handy. 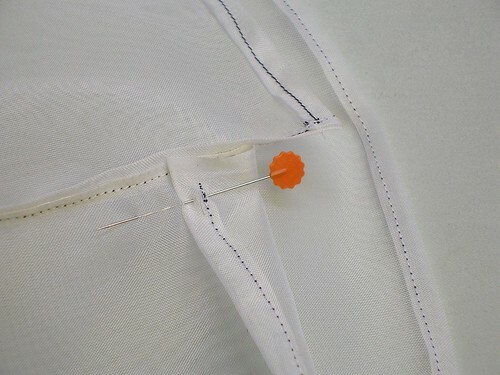 I think that polyester and nylon fabrics are not typically treated to be flame-retardant - they are automatically assumed to be flame-retardant, as plastic fabrics don't burn - they melt. Anyway, after one bag, I've given up on trying to make anymore out of tulle. Any suggestions on how to sew zig zags without it all bunching up on me? Thanks for the tutorial too! You rock! I was wondering if there were any pictures with produce in the bags so I could see them for size reference. This is a great idea and very cute. I didn't make a drawstring, I just copied the bags the store is using. You can find silk organza at aurorasilk.com at $10/yard if you buy 5 yds and a bit more if you buy less yardage. Thanks for the awesome tutorial! I tried my hand at these last night with some organza I got on sale at Joanns. I had a really rough time cutting it straight and sewing straight seams though. My thread tension was all wonky. For what they are though, I don't think it really matters. Here's my bags if you'd like to see them. THANK YOU--- I was just about to spend too much at a natural store when I have a pile of this material at home. I'm wondering if these wash OK? 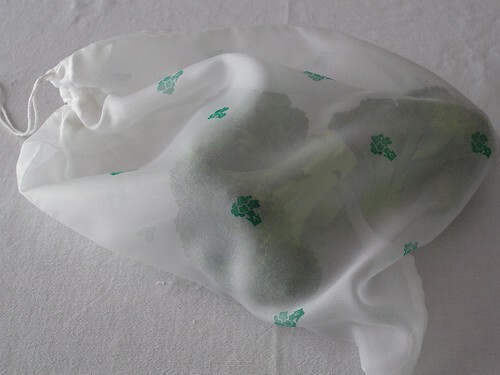 I've been a bit worried by news reports about the bacteria breeding in reusable bags (if they're not washed all the time) and wonder how this type of sheer bag would hold up to constant washing? Anonymous, I wash these all the time. Usually if it's held something dry, like peppers or onions, I'll just toss it back in the bag, but if it's gotten wet or dirty (which is most of the time), I wash it in hot with a load of kitchen towels. Not one of them has unraveled in the slightest in over a year. I'm frankly surprised at how well they've held up. Thank you for sharing your expertise! I have some tulle ready to sew and your instructions are great. A couple of years ago I made produce bags from old tea towels that were being discarded. Some are cotton and some are linen, although they probably weigh a bit more than the tulle/sheer fabric, they're easy to sew. I too get funny looks from the checkers, but fewer all the time. My favorite shopping victory is taking in my flour and other storage containers to our local organic food store. I get a tare weight for the container, and fill them with flour, granola, sugar, spices - no charge for the container, and NO waste! Yay! Awesome... I was just looking at this curtin and wonder what I could do with it... Now I know!!!! I am a "hand sew" girl so my stiches wont look quite as neat as yours LOL but I think I will use some metalic tread I have kicking around that would look cute as a contrast to the fabric! What a brilliant idea! I've always felt terrible using those plastic bags, when I'm such a stickler for the reusable bags! thanks so much for the great idea, i have been reading 'no impact man' and been wondering what can i use to avoid those horrible 5 min plastic roll bags. this is perfect!!!! i love it. I actually made some of these a couple of months ago out of a sheer remnant I found at Goodwill and some bias tape I had on hand (and some pulled out sweatshirt ties discarded by my adults-when they're in their twenties I feel silly calling them kids). I thought I was being really original!! We like 'em! Just beware with some thift store sheers. Years ago some were made with fiberglass if I remember correctly. that gives suggestions on how to crochet them into totes! I'll be heading to the thrift stores to get some sheers and make some produce bags! My mom was wondering what she was going to do with all the left over tulle that she had from my brother's wedding. I had come across these instructions while looking for a reusable grocery bag pattern a few weeks ago. I now have 10 yards or so to make produce bags out of. If I hadn't seen your blog it would have probably been sitting there for years before a new use came up for it. Love this tutorial. Have my yard of tulle, and am about to give it a go...! Don't have a website... just writing to ask if your machine is a Kenmore? i had an old one - made of metal, and it was wonderful. It has bitten the dust (to many problems to fix), so i bought a new one - made mostly of plastic... not happy with it. Recycling is definitely the trend nowadays, and creating something new out of something old is one way of doing it. I think the best part of it is that you won’t have to spend anything for it. You just have to let your mind run wild and let your creativity work for you. Anyway, the produce bag looks great! What is the maximum weight it can carry?